Rethinking Bulk Mail 21st Century. Forget the "ink on your hands" printer. Jack Butala: Welcome to our show today. 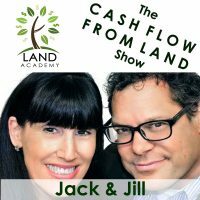 In this episode, Jill and I talk about rethinking bulk mail. It’s the twenty first century. Here’s a hint. It’s all computer driven now. There’s no more ink on your hands. Before we get into it though, let’s take a question posted by one of our members on LandInvestors.com online community. It’s free. And we already have an answer we’re going to share here too. Jack Butala: This is right out of our community, this question. Copy and pasted right out of the online community. Jack Butala: This is the Adam that went to our Los Angeles meetup. You know, he’s such a bright kid. He’s real young. Jill DeWit: I’ll help you then. Jack Butala: Yeah. I can help you with that. Jill DeWit: That’s your plan? I’ll help you. Jack Butala: If you’re an agent. Or if you’re not, like Adam says, make friends with one. Maybe you’re married to one. Jill DeWit: Well, you know and it’s so cool because … Well you already passed the sellers test too because you know the property. You know what’s going on, you know what it’s worth, and that’s a really good spot to be in. Jack Butala: [crosstalk 00:02:36] That’s right. Yeah, you’re in total control. Jill DeWit: You know, say, “Hey, here’s the deal. I’ll pay cash for it tomorrow or I’ll help you list it and we’ll try to get this.” I really think if you maybe can get whatever. Yeah, that’s awesome. Jack Butala: That helps using bulk mail and data, especially if there’s data, to get listings. Jack Butala: It’s called A Listing A Day. Could you imagine if you had a listing a day? Jack Butala: I think there’s people who do that. Jill DeWit: I think there are. 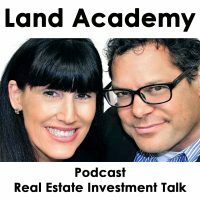 If you have a question or you want to be on the show, reach out to either one of us on LandInvestor.com. Jack Butala: Today’s topic, rethinking bulk mail. It’s the twenty first century already. This is the meat of the show. Jill DeWit: I’m telling Jack. Energy. We need energy. Jack Butala: We have retained a partnership with LetterStream.com and these guys are the future of bulk mail. It cost exactly 49 cents to mail a letter out, whether you mail one or one million. That’s the deal. So a lot of these companies like Click2Mail and Yellow Letters, ha ha. We don’t even use those words around our office anymore because it’s like the more you mail, the cheaper it gets. That’s silly. What if you want to send out 200? What if you want to send out 2,000? Just make it simple. It’s all online. Jill DeWit: They’re very expensive. Most [crosstalk 00:04:19]. Jack Butala: And they send it out that day. Jill DeWit: It’s really nice. And when I say … When we’re talking bulk mail, I think it’s good to share it ’cause I think what we’re talking about, it’s not a postcard. ‘Cause you can do postcards cheap. It’s a real two page letter, in a windowed envelope, all done the right way. Jack Butala: It’s done the right way. 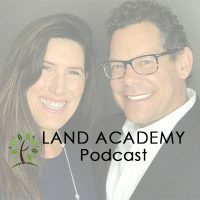 Jill DeWit: You know what’s interesting, I heard … I was on like a webinar last week listening to this guy talk and he was … He’s in real estate but he does different stuff and he was talking about sending these postcards out. He was sharing with this group about how great his printer was, about how they do the address checks to make sure everything’s deliverable, and he thought that was a big deal. I’m like, wait a minute. Doesn’t everybody do that? But I realized they don’t. I was shocked that he thought that was something special ’cause our printer, that’s an automatic. That’s a given. Jack Butala: Organized according to zip code and zone geography and the whole thing. That’s why the correct mailer is very, very organized like that way. Jill DeWit: Right. There’s a lot of work that goes into it. Jack Butala: [crosstalk 00:06:07] And that’s why it’s so cheap. Yeah. Jill DeWit: That’s it. That’s why you don’t want to do it yourself. Jack Butala: If you’re licking a stamp, then you’re just … If you’re licking a stamp, this is the first time you’ve probably listened to our show. ‘Cause I can’t describe to you how silly that is. Jill DeWit: My offer’s going to get there in two days. Yours is going to get there in a week. You know? And I sure hope everything on was on there correctly. And it’s legible. Jack Butala: And maybe the address isn’t right? Jill DeWit: That’s what I mean. Jack Butala: Maybe it’s going to come back. Jack Butala: We’ve taken all the work out of finding a bulk mailer. It does not get any better than LetterStream and any cheaper. No one’s cheaper. Jill DeWit: You know, I’m glad we’re doing this this week. These are two good shows, Jack. These are things you don’t skimp on. Jill DeWit: I mean, we’re skimping on the cost, but we’re not skimping on the quality. And we’re not really skimping on the cost, we just found the right printer. That’s the reality. [crosstalk 00:07:00]. We did the front work to find the right person and the right company and negotiate the right price. Jack Butala: That’s right and it’s very industry specific. The guy who owns a company, his name’s Dave Patterson, and he understands real estate. Every time I sit down with him, he’s actually in Scottsdale. Every time I sit down with him, we start by laughing and talking about the cheap property we’re buying. We talk more about real estate than we do actually mail. So please stop licking the stamps then. I love Dave, man. He just understands it. Jill DeWit: [crosstalk 00:07:51] Yeah, he’s really nice. Jack Butala: He just gets the whole thing. And it’s all integrated from a software standpoint. It could not be easier to send out an offer campaign. Jack Butala: It’s all IT people. Jill DeWit: And they’re very helpful and it’s good. They set you up to succeed. Jack Butala: Yup. Information and inspiration to buy undervalued property.